The Jump Park design-build contract has been awarded to Squamish-based Dream Wizards Events Ltd. Dream Wizards will be responsible for the final in-field design, shaping and grading of four dirt jump trails (beginner through to expert in difficulty rating), a pump track and a run bike trail. Lead by the renowned BC trail builder Ted Tempany (a.k.a. Big Red Ted), Dream Wizards has been building bike trails, jumps, pump tracks, and slopestyle courses throughout BC, the United States and as far away as New Zealand for over a decade, including for both professional and recreational riders. 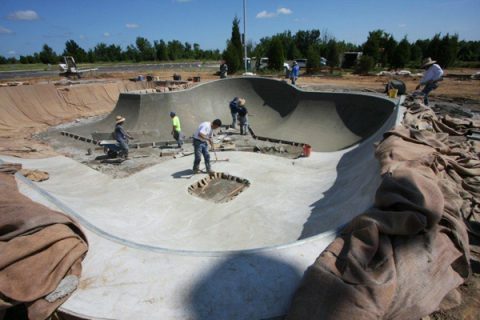 The 5200 square foot custom concrete skatepark will have a street section, a bowl and a mini-ramp. Designed with an emphasis on beginner to intermediate features to reflect Cumberland’s growing demographic of young families, advanced features are also built in to challenge more experienced skateboarders. 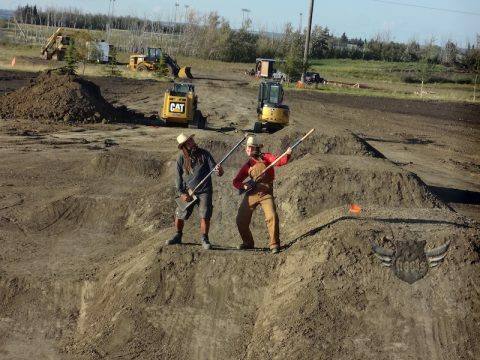 The construction contract has been awarded to the Comox firm Radius Contracting Inc., a company with experience building skateparks throughout BC and the rest of Canada.